"I am pleased to announce that President Barack Obama and Governor Mitt Romney joined together today for a special luncheon meeting to discuss their respective ideas for the future of the United States of America. For their main courses, the President feasted upon grilled longfin tuna with pumpkin seed, eggplant puree, and sganarelle and Mr.Romney upon the slow roasted quail with creamed cunegonde, broccoli, and gremolata. Each man next eagerly loosened his belt to make ready for the final course of Turkish Coffee and Flaming Bananas Foster prepared table side and tres forte on the rum! The President and Mr. Romney then retired to the Oval Office where they enjoyed a snifter of finest White House brandy and a couple of excellent but odoriferous Nicaraguan cigars and agreed that everything possible must be done to avoid going over the fiscal cliff because the finest and most succulent seafood is on this side of the cliff! The President and Governor Romney shook hands and agreed they would meet again shortly for another meal, Governor Romney promising next time he'd pick up the check provided Mr. Obama doesn't raise his taxes too much. 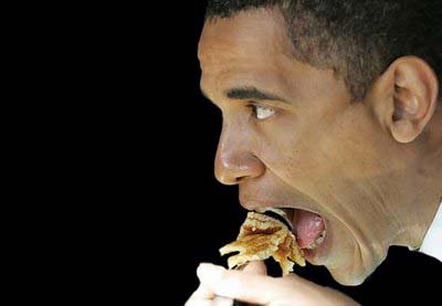 "Yummy, Mr. President! Double Yummy!" Well done, Percy--I mean Perry. 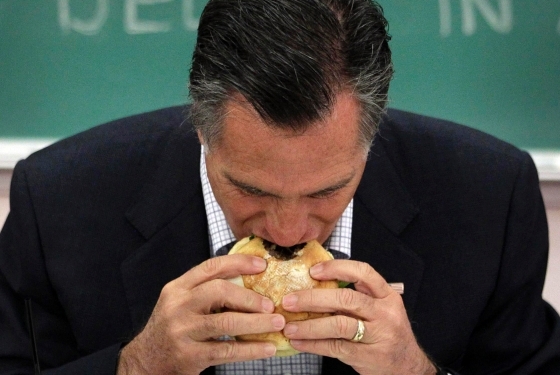 Hopefully, they won't have to dine on fried bologna at Mitt's expense. This is the kind of hard hitting news story that Fox News and CNN does have the guts to report. Thank you for sharing it with the world. Thank you, Russell. I know --- nobody was telling the true story about what happened at the meeting, so I just had to break it. 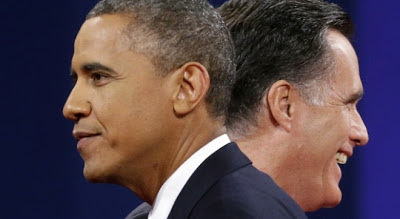 Fox News had been accusing President Obama of lying about his poor table manners and MSNBC was saying Romney kept changing his mind about dessert. By the way, I didn't forget the Friday Prompt. I just posted it now. I figure with two posts in one day there's a remote chance one of them might actually get read.